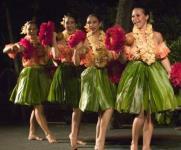 Experience a traditional Hawaiian luau right in the middle of Kailua-Kona on the Big Island's beautiful Kona Coast. 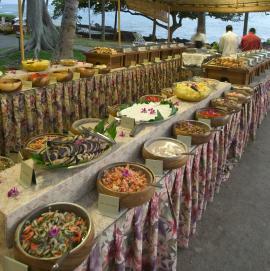 The Royal Kona Luau - Voyagers of the Pacific - is one of the island's best! 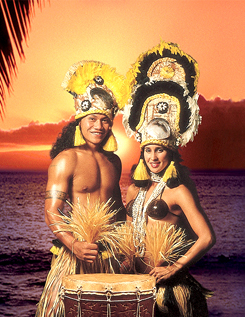 Your evening begins with a warm shell lei greeting after which you have the opportunity to learn about and participate in island arts and crafts and a hula lesson. 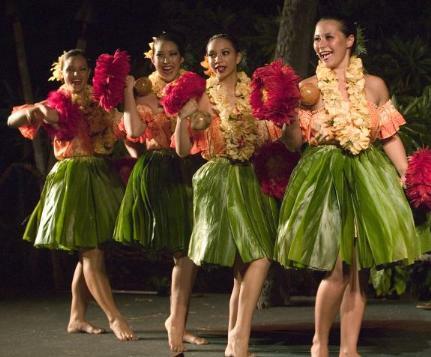 Watch the unearthing of the kalua pig from the imu, the Hawaiian underground oven, and then sit down to a mouthwatering all-you-care-to-eat Hawaiian-style luau buffet, which includes a full bar. 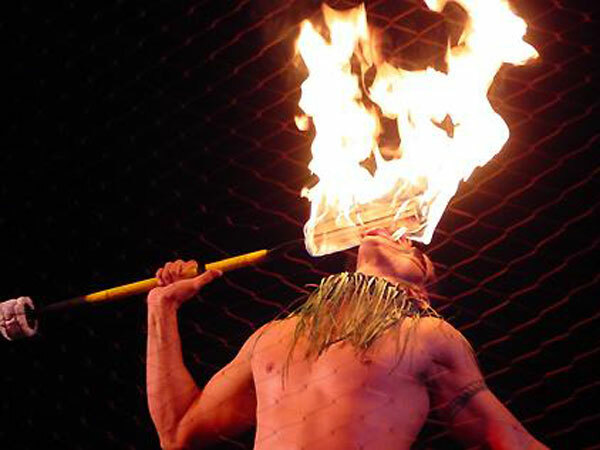 The evening culminates with a spectacular Polynesian revue showcasing the stories, songs and dances of Hawaii and the South Pacific, ending with the spellbinding Siva Afi Samoan fire dance.